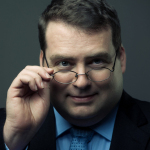 Here are some thoughts and sayings I posted on Twitter and/or Facebook in June. To my knowledge, I made these up (for better or for worse). Sit back, relax, and enjoy the write! 1. 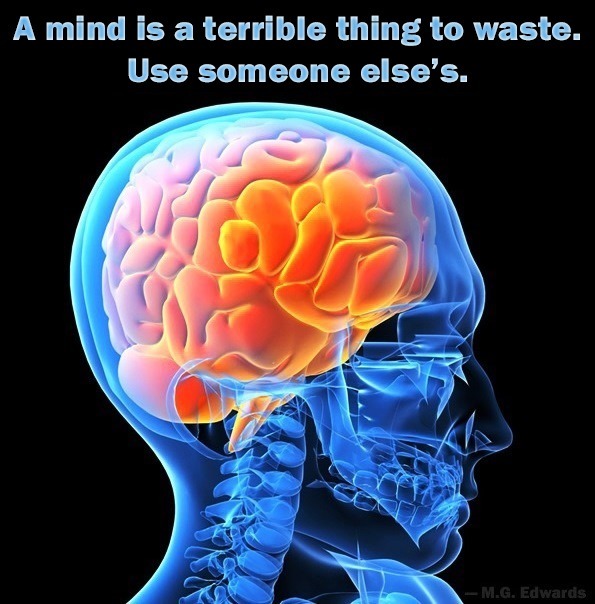 A mind is a terrible thing to waste. Use someone else’s. 2. 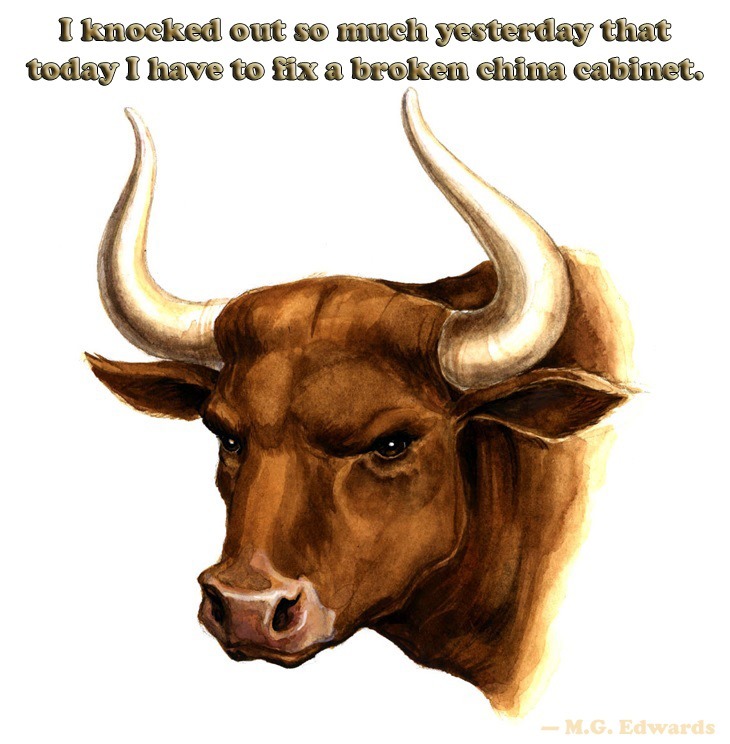 I knocked out so much yesterday that today I have to fix a broken china cabinet. 3. 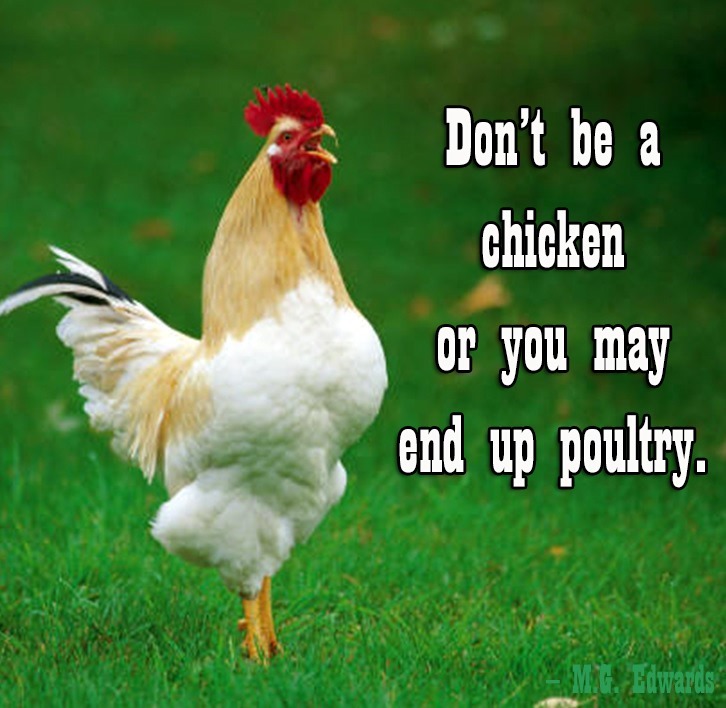 Don’t be a chicken or you may end up poultry. 4. 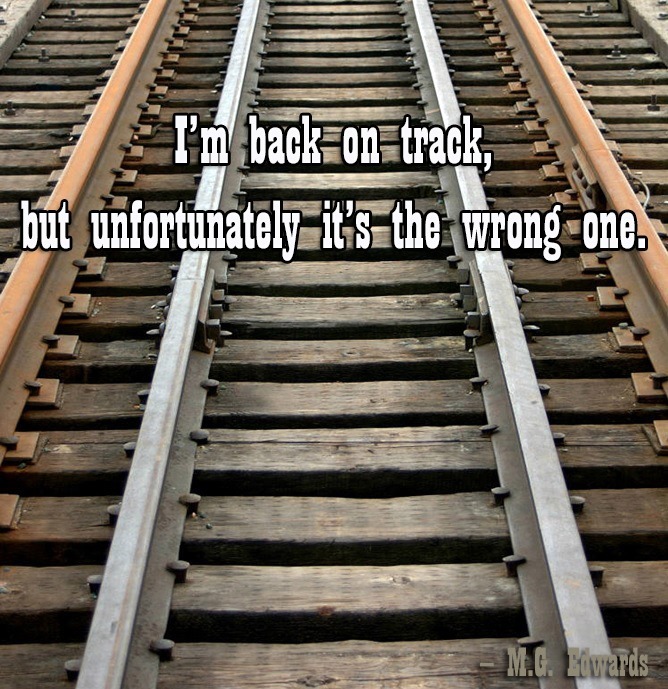 I’m back on track, but unfortunately it’s the wrong one. 5. 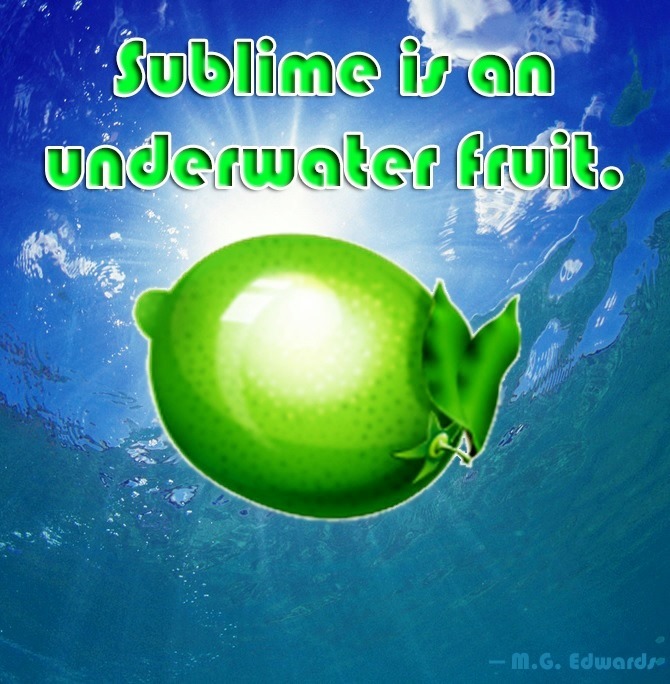 Sublime is an underwater fruit. 6. 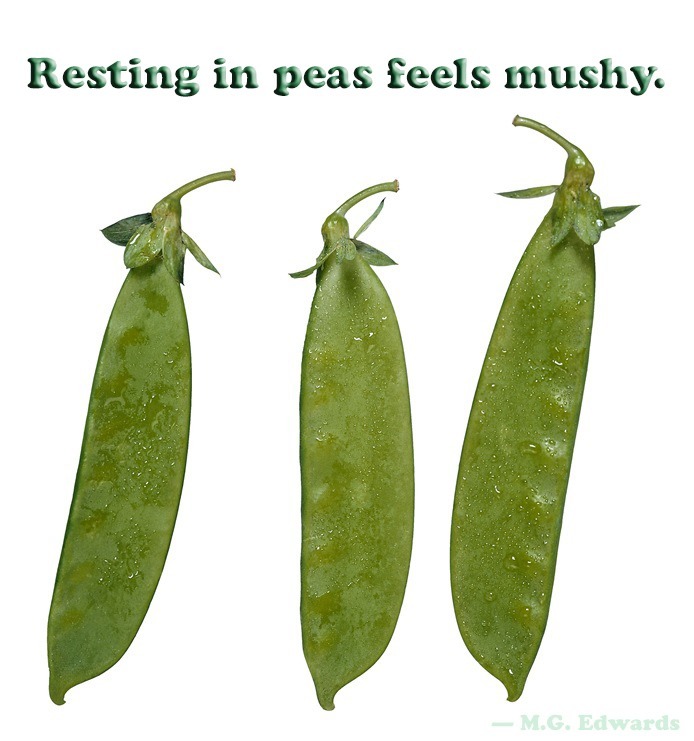 Resting in peas feels mushy. 7. 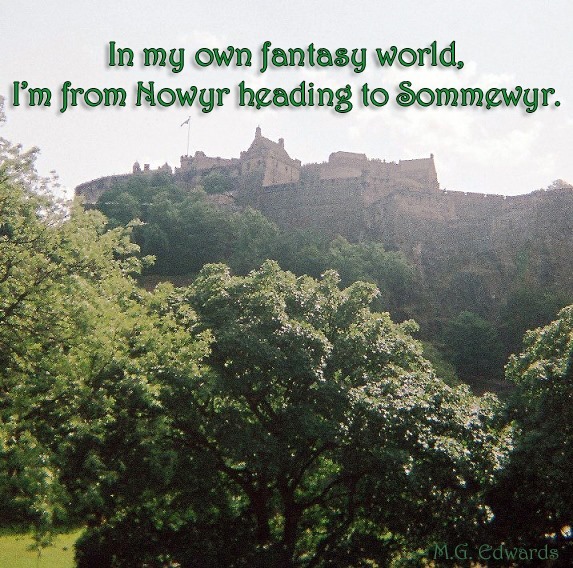 In my own fantasy world, I’m from Nowyr heading to Sommewyr. 8. 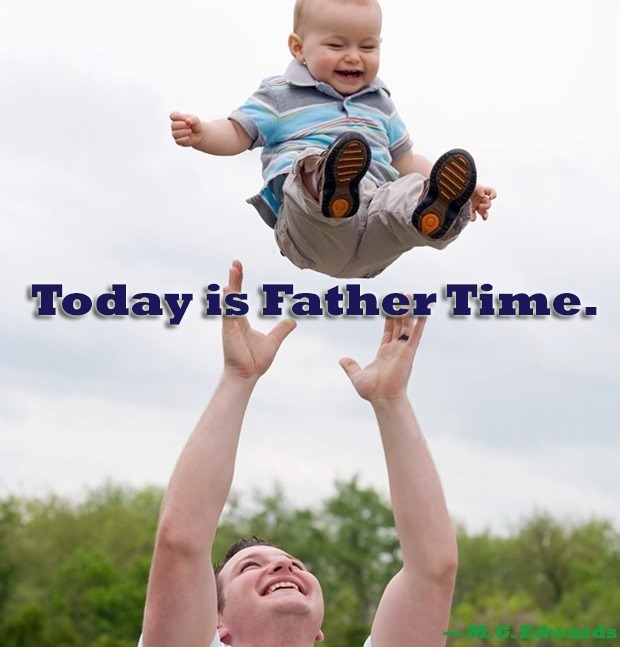 Today is Father Time. 9. 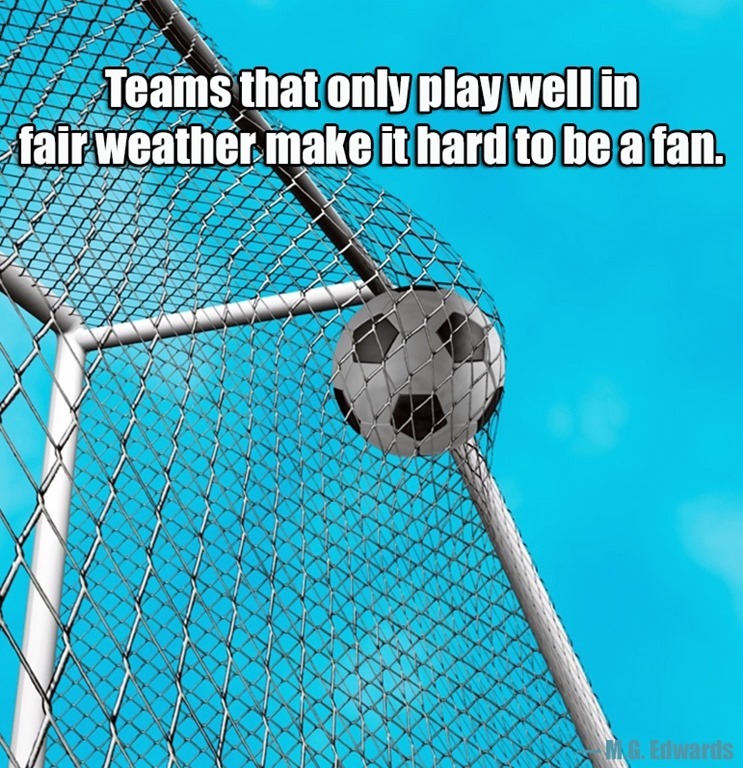 Teams that only play well in fair weather make it hard to be a fan. Images courtesy of Microsoft except Edinburgh Castle from M.G. Edwards.